Pratham Books’ new open-source platform is a huge step to creating more young readers. So a teacher, guardian or young reader can go to the story writing software, type a title and start writing. StoryWeaver will help the writer determine the level of the story, and also help select appropriate images from an image bank. If the writer wants to upload her own illustrations, she can do so. Similarly, to translate, all one needs to do is to select a ‘translate’ option, pick the language, and begin. The website interface is quite simple, and all the text is Unicode-compliant, which means that readers will not have to download any special software, which is ideal for low-bandwidth Internet connections situations with a limited choice of devices may be limited. Singh says that the platform was designed with resource-poor conditions in mind. Pratham Books is hoping to use the relationships it has built with organisations that use its books to promote StoryWeaver. “We have planned an offline-online outreach plan for workshops with our partners to demonstrate how the platform can be used in their literacy programmes. We will do the same with state governments,” says Singh. The idea behind StoryWeaver, ultimately, is to build an ever-increasing community, a network of book readers, writers and publishers. To that end, once you sign in, you can discuss books on forums, “like” particular books that you enjoyed, and then tinker with them to your heart’s content. As of the time of writing, almost a month since the launch, the website has chalked up 920 stories in 27 languages. 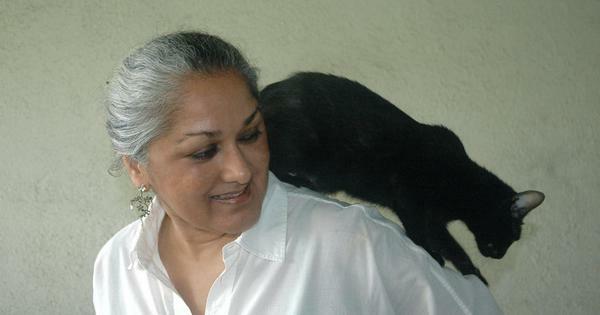 A scan of the most read stories will show not just It’s All The Cat’s Fault (for Level 2 readers) by the well-known Indian children’s literature author Anushka Ravishankar, but also a reworking of it called The Story-Pooping Cat (for Level 3 readers) by Greystroke. Miss, it's all the cat's fault. There was once a cat that pooped stories. And poop stories, without any hurry. Just a cat that could poop stories! Synopsis: There was once a cat that pooped stories... no, really! Well, that's what Aaron tried to tell his maths teacher one day when he was asked to do a sum. No cats, dogs, monkeys, fourth-graders or teachers were harmed in the making of this story! Are online literary magazines the future of literature or a mere indulgence for writers and ignored by readers?